Grass fed beef: Is it a healthier alternative? There has been a lot of emphasis on purchasing grass fed beef as a healthier alternative to conventional meat. All cows graze on grass for the first six months. However, most U.S. cows will finish in a feeding lot containing a concentrated mixture of corn, soy, grains, supplements, hormones, and antibiotics. This speeds the growth process by one full year and thus lowers the overall cost to feed the animals. In addition, this process increases the fat in the meat, giving it a richer taste, boosting marbling, and resulting in a higher USDA rating when it reaches the store. Increasing the fat in beef changes the nutritional composition of the food. Three decades of research have concluded that grass fed beef is lower in calories (92 fewer calories in a 6 oz portion), lower in saturated fat, higher in good fats (Omega 3 content), higher in vitamins A and E, higher levels of antioxidants, and seven times the beta carotene. The disadvantages to grass fed beef include the cost and the care needed when cooking the meat. If you consume the U.S. average amount of beef per year of 67 pounds, it would cost approximately $300.00 more per year. Grass fed beef can also be more challenging to cook because of the lower fat content, requiring more time and lower temperatures. The good news is that when time is taken in preparation, grass fed beef compares in taste to conventional meat with higher fats. I love spicy food and favor stews and soups in the colder months. 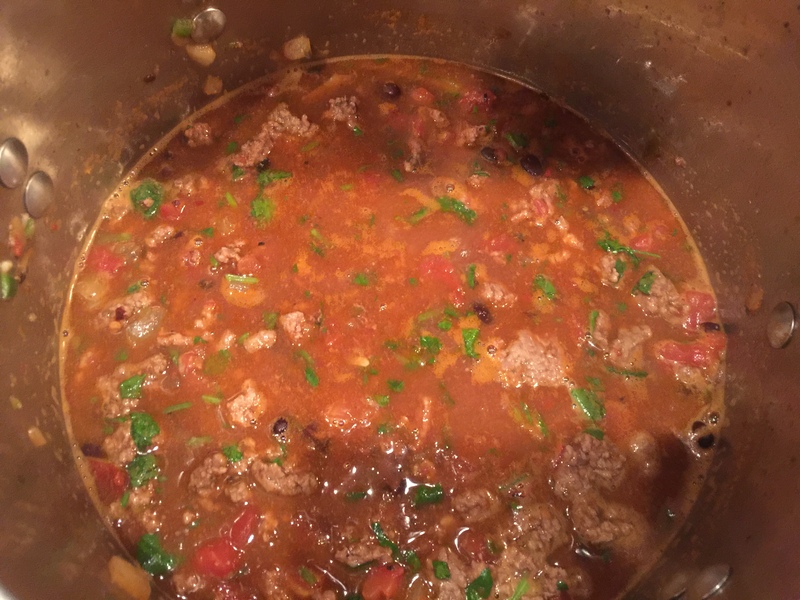 Here is a nice, smokey chili to try. I usually make it stove top, but you can easily adapt this recipe to the crock pot. Generously spray the bottom of a stock pot with olive oil spray. Over medium heat add garlic, onion, peppers, and adobo. Heat for 3 minutes and set aside. 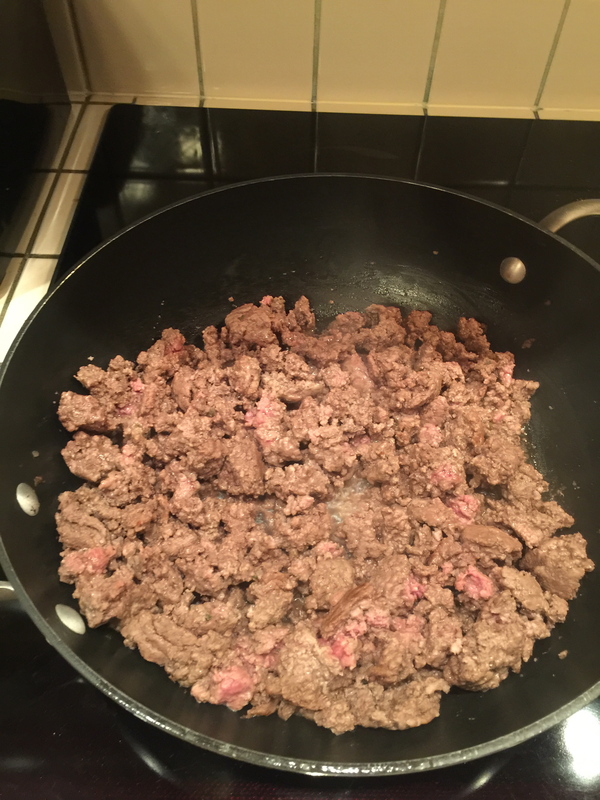 In a separate skillet, cook the meat over medium heat until done (approximately 10 minutes). Drain meat and add to stock pot. Add taco mix, tomatoes, chicken broth, and salsa (optional). Continue cooking over medium heat. Stir in beans and cilantro and reduce heat to low. 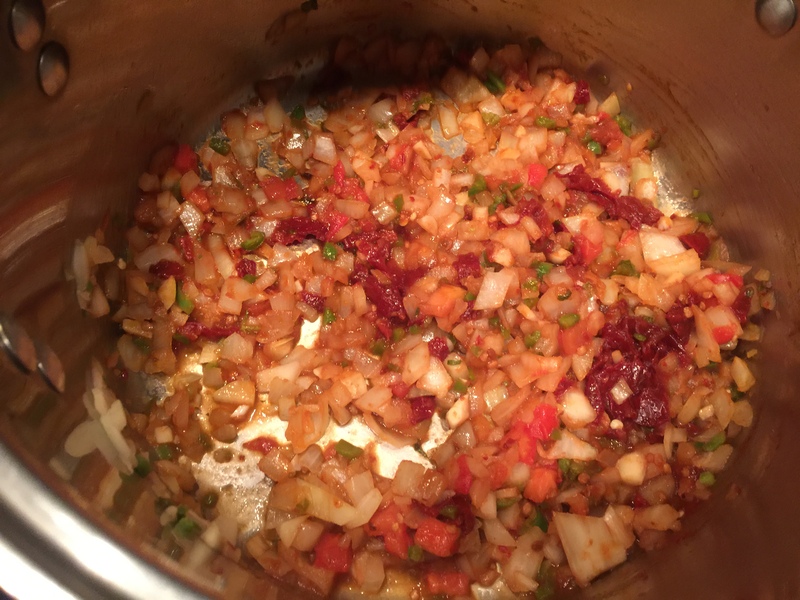 This entry was posted in Recipes Nutrition by carolcovino. Bookmark the permalink.